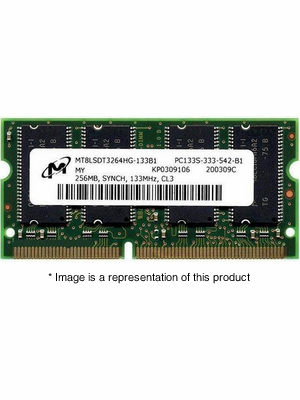 PC Wholesale has served as the Internet's networking memory and transceiver authority for some time, and we invite you to purchase MEM1841-256D memory from us with confidence. There are several wonderful advantages to becoming a PC Wholesale customer, and you can find out more about all of them on this product page. PC Wholesale currently has a host of MEM1841-256D memory for Cisco 1841 routers that are in stock and ready to ship directly to addresses in the United States and worldwide. If you are looking to purchase memory from us and have it shipped to a location based in the United States, you may be eligible for free shipping as long as your order surpasses a total value of $100. We aim to supply our customers with the quickest shipping possible, and that is why we tend to send out orders on the same day that they are received and processed through our site. Yes, we do ship on the same day in most cases, but we do a thorough job of inspecting the quality of your ordered product before doing so. All of our MEM1841-256D modules are tested in-house by our qualified memory specialists to ensure that your 256mb DRAM Memory for Cisco 1841 routers will arrive in perfect physical and working condition. While this practice protects your product when it is in our possession, we also offer extended protection once it leaves our warehouse. How do we accomplish this? All of our Cisco memory comes with an industry leading LIFETIME advance replacement warranty. If you have any questions about our MEM1841-256D memory for Cisco 1841 routers or any other items found on our site, please feel free to contact us by giving us a call at our toll-free number at 877-623-2373. We have an experienced team of Cisco memory specialists that is ready and eager to assist you.